When a flock of sheep is coming towards you on a country road, what should you do? When a flock of sheep is coming towards you on a country road, what should you do? When there are farm animals coming towards you on the road slow down or pull over until the animals have moved past you. New Zealand has a huge network of rural roads and agriculture is important. It's likely that you will eventually come across either a herd of cows or flock of sheep being moved between paddocks, or the occasional escaped farm animal. 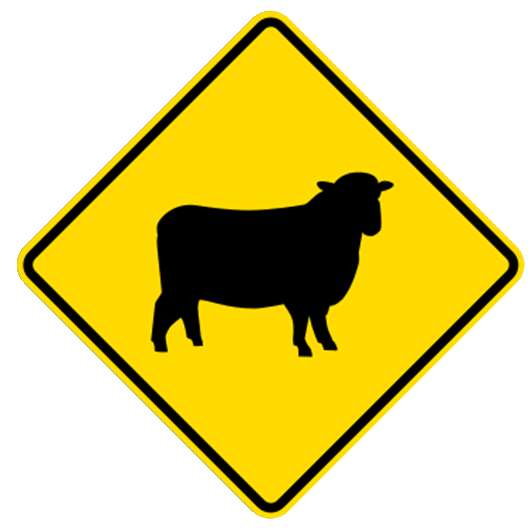 In areas where there are regularly animals on the road you will see one of the following signs. If you come across farm animals, follow any instructions the farmer gives you. It's best to slow right down, or even stop, until the animals are past your vehicle. If you come across a lone animal what is most likely to happen is that it will run up the road. This is because the animal's blind spot is behind its head and it runs away from 'danger'. If it turns around it sees an object coming towards it. If it is one animal then a passenger can sometimes help move the animal off the road. If you come across a cow or sheep on the road in the dark, the best way to encourage it to move is to turn your lights off and move slowly towards it. The animal will be able to see its way onto the verge and will move out of the way. However, you need to be careful that another vehicle isn't coming which won't be able to see your vehicle. Don't chase escaped livestock towards a cattle grid. 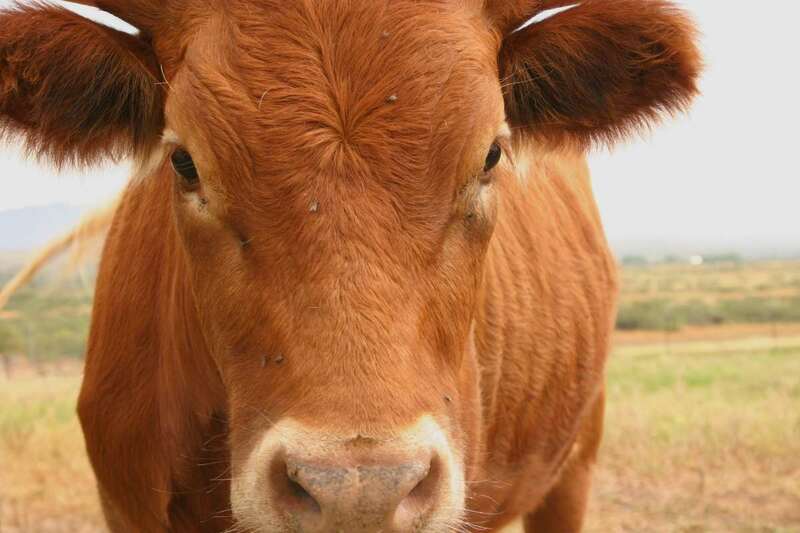 How should farmers move livestock? Always follow the farmer's instructions. Farmers will be planning ahead for the move and will be trying to minimise their herds' exposure to the road, while attempting to take the most efficient route. Farmers tend to try to avoid morning and afternoon peak times, and only do it during daylight hours. Farmers should also try to avoid well-maintained road verges. Anyone involved in moving stock should be wearing high-visiblity clothing that can be easily seen by other motorists. On roads with bends a pilot vehicle with flashing amber beacon lights and warning signs are used. Farmers moving stock on local roads or highways need a traffic management plan which they obtain from NZTA.